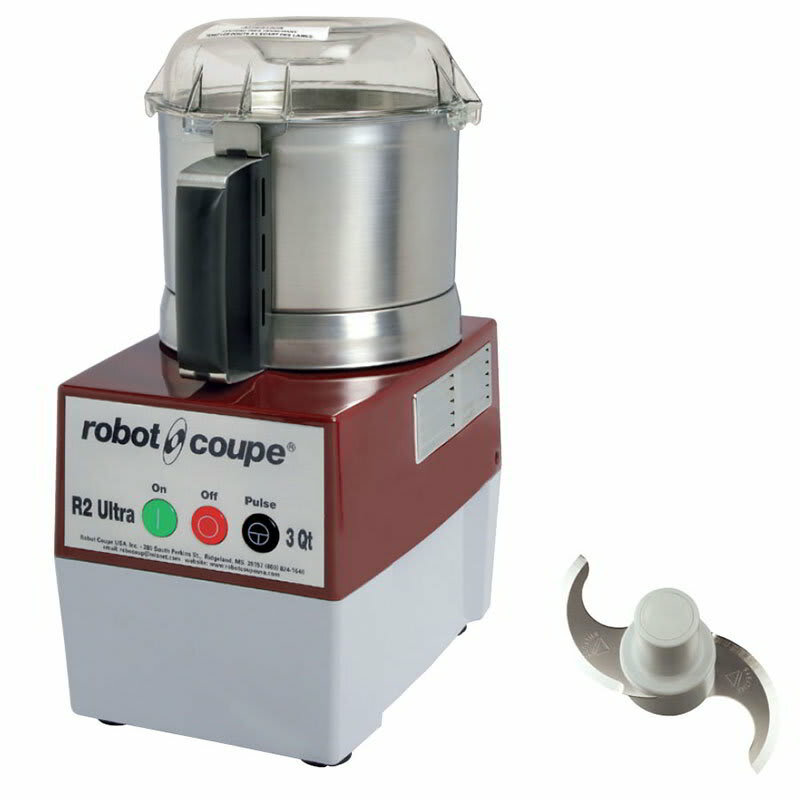 The Robot Coupe R2 Ultra B combination food processor can prepare 850 servings in three hours or less, making it a good choice for restaurants requiring high volume preparation. 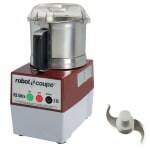 The stainless steel S-blade mixes and cuts food evenly. The three quart cutter bowl is made of brushed stainless steel for easy cleaning. A fan-cooled, 1 horsepower motor turning at 1725 RPM can handle large volumes and continuous use. The R2 Ultra B can fit in tight spaces due to a compact base design.